The PhotoTable Is Our Most Common System And Your Solution To Shooting Practically Everything. 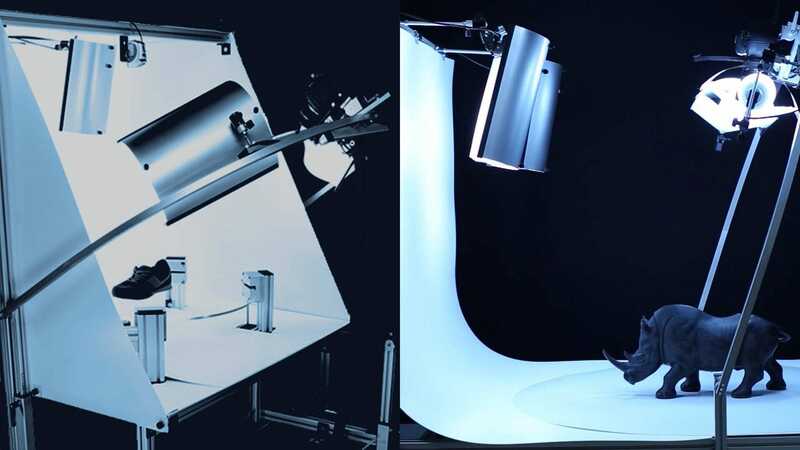 Apparel Photography has never been easier with the the PhotoTable Photography Studio; our most common photography studio. The PhotoTable is your one stop shop for high quality images of Shoes, Handbags, Handheld Tools, Apparel photography and more! Max Product Size For Multi-Axis 35x35x50 cm 14"x14"x20"
Background Diameter 120 cm 47.2"